This stunning Milson’s Point apartment is located in a small block of prestige apartments that capitalises on its waterside location and Sydney Harbour Bridge views. 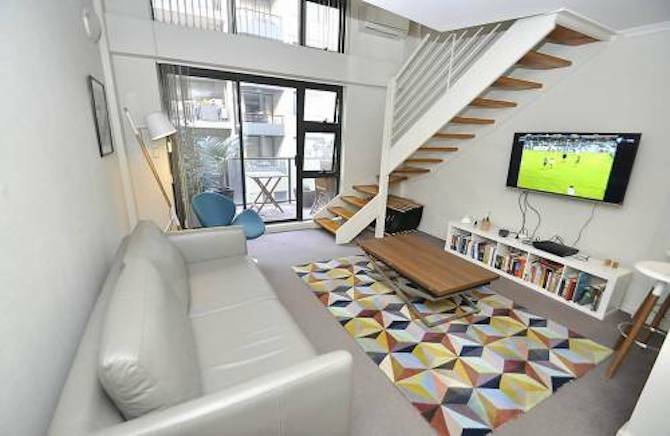 With the building having won an MBA award for excellence in construction, the apartment has two bedrooms with the master and main living area opening out to a large terrace. The second bedroom has a private and protected balcony, which can be a great spot to catch the sun. This property is in a truly envious location, close to public transport (ferry and train) as well as also Milson’s Point and Kirribilli’s wealth of restaurants and cafes. The parking space is also a highly prized asset, as street parking is hard to come by in the local area. Captivated by intimate water and Sydney Harbour Bridge views, this apartment is a unique prospect for exclusive waterside living.